LE MOYNE, SIMON, Jesuit priest, missionary to the Hurons, ambassador of peace to the Iroquois; b. 22 Oct. 1604 at Beauvais; d. 24 Nov. 1665 at Cap-de-la-Madeleine. Simon Le Moyne entered the Jesuit noviciate at Rouen on 10 Dec. 1622. He studied philosophy at the Collège de Clermont in Paris (1624–27), taught at the Collège in Rouen (1627–32), and took theology courses at La Flèche (1632–36); he again became a teacher at the Collège in Rouen (1636–37), where he also did his third probationary year. On 30 June 1638 he arrived at Quebec and by the end of September he was in the Huron country. A letter from his confrère, Father François Du Peron, informs us that Father Le Moyne was deserted on the way by his Huron guides. For 15 days, abandoned in the immense forest, he had to live on the results of his young French companion’s hunting. Thanks to the fact that Father Du Peron came by unexpectedly, Father Le Moyne was able finally to reach his destination. He devoted his efforts to the Huron country until 1649, and was of the same intellectual and apostolic calibre as his companions Jean de Brébeuf, Isaac Jogues, Jérôme Lalemant, Paul Ragueneau, Antoine Daniel, Charles Garnier, and others. After the destruction of the Huron nation, he returned to Quebec in 1650, and shared in the labours of his confrères at Sillery, on the Île d’Orléans and at Trois-Rivières. 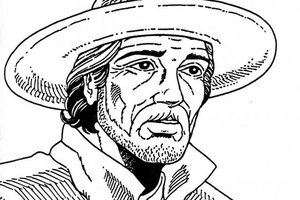 No one except Father Chaumonot spoke better Huron and Algonkian than he did. The Hurons had given him the name “Ouane.” During his Iroquois period he was known as “Ondessonk,” a name that had been given to Jogues. It is above all as an ambassador of peace to the Iroquois that Father Simon Le Moyne has a place in history. In 1653 a short-lived truce had been signed between the Iroquois and the French. Following this flimsy and frequently violated treaty, Father Le Moyne on six occasions from 1654 to 1662 made trips into Iroquois country, each time as an ambassador of peace and each time risking his life. This official envoy of Onontio (the governor) was himself held prisoner, took his place on the enemy’s scaffold, was threatened more than once by the hatchet of a drunken Iroquois or of one who believed it necessary to strike him down to fulfil a dream. And yet after all this, he considered the finest day of his life to be that on which he undertook, in 1661, his last trip into the Iroquois country. Father Le Moyne’s peace embassy proved to be a success. In the name of the superior of the Jesuites at Quebec he had promised that missionaries would come and dwell among the Onondagas in 1655. This explains why, on 19 September of that year, Fathers Chaumonot and Dablon set out for the tribal territory of the Onondagas. On 30 March 1656 Father Dablon returned to Montreal, the bearer of good tidings. It was a time for optimism and heroism, and Quebec witnessed, on 17 May 1656, a large-scale missionary departure. 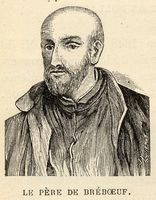 Father François Le Mercier, the superior of the Jesuits at Quebec, Fathers René Ménard, Claude Dablon, Jacques Frémin and Brothers Ambroise Brouet and Joseph Boursier were going to join Father Chaumonot. They were accompanied by about 50 French workmen. Their task was to erect in record time a central residence, Sainte-Marie de Ganentaa, which would be to the Iroquois what the residence of Sainte-Marie had formerly been to the Hurons. The work of construction began 17 July and was carried on, not without some difficulties. The missionaries, however, became aware that they had been lured into a trap and that the ultimate design was nothing less than the massacre of all the Frenchmen and their allies. For this reason, it was decided to abandon Ganentaa. On 20 March 1658 fathers and workmen left secretly and arrived at Montreal on 23 April. Father Le Moyne’s embassy and its sequel, that is to say the founding of Sainte-Marie de Ganentaa, were doomed from the beginning. Both of them had been undertaken without the knowledge of, and without any assistance from, the Mohawks, and they were for the benefit of the Onondagas. The Mohawks, who considered themselves the leading nation of the Iroquois, took umbrage at this; moreover, they feared lest this alliance between French and Onondagas harm their trade with the Dutch. They became more arrogant and more threatening than ever; and, feigning peaceful intentions, they sought Black Robes for themselves. If their wishes were not acceded to, the truce would be more imperilled than ever. For the general good of the colony, Father Le Moyne was to travel into Mohawk territory as an ambassador of peace four times: from 17 Aug. to early November 1655; from the beginning of September to 5 Nov. 1656; from 27 Aug. 1657 to 21 May 1658; and from 7 May to 3 July 1659. These recurring negotiations make it clear that no one of them was entirely successful; but they prove also the esteem in which Father Le Moyne was held by both French and Iroquois. During these tragic years he personified the hopes of the civil and religious authorities in the face of the Iroquois menace. During his 1657–58 stay, at which time he was considered a captive and was free only under surveillance, Father Le Moyne made the journey from Ossernenon (Auriesville, N.Y.) to New Amsterdam (New York). He wanted to thank Pastor Jan Megapolensis for the kindness the latter had earlier shown to Father Isaac Jogues. He was received with the greatest cordiality. He told his host about the salt spring at Lake Onondaga. They also discussed religion, for the Dutch minister writes that the missionary, on his return to Ossernenon, sent him three documents: one on the papal succession, a second on Church councils, and a third on heresies. Father Le Moyne, while making his way to Ossernenon over difficult roads, had set down in his own hand these theology lessons for Pastor Megapolensis. The Journal des Jésuites notes Father Le Moyne’s arrival at Quebec on 21 May 1658. On 21 July 1661, Father Le Moyne started out again for the Iroquois territory, in order to work for the release of the French captives. When he returned to Montreal on 31 Aug. 1662, he brought back 19 of them. Lastly, the Journal des Jésuites informs us that on 31 July 1663 he went to Montreal in order to be able to seize the first opportunity of going back among the Iroquois, but he does not appear to have gone any farther than Montreal. His efforts to promote peace had not been in vain. A renowned Onondaga chieftain, Garakontié, who was soon to occupy a prominent position, had at an early stage been won over to Father Le Moyne and to his mission of peace. In 1658 he returned two French captives to Montreal. In 1661 he shared his lodging with Father Le Moyne, built a chapel for him, protected him and encouraged his religious apostolate, although he was himself still a pagan. In the Onondaga of old, now Syracuse, the centre of the missionary’s apostolate of peace, Le Moyne College, under the direction of the American Jesuits, recalls to mind this great French Jesuit and honours his memory. JR (Thwaites), passim. An English translation of a letter from Megapolensis to his religious superiors in Amsterdam, 28 Sept. 1658, is given in Narratives of New Netherlands (Jameson), 403–5, in Original. narratives (Jameson). The letters from Megapolensis to Father Lemoyne, mentioned in the Journal des Jésuites, 15 Aug. 1658 (JJ (Laverdière et Casgrain), 239; JR (Thwaites), XLIV, 105), appear to have been lost. Campbell, Pioneer priests, I, 75–100. Rochemonteix, Les Jésuites et la Nouvelle-France au XVIIe siècle, I. The most complete study devoted to Father Le Moyne is perhaps that of Alexander M. Stewart, “Le Moyne, the peacemaker,” in Annual Diocesan Review (1938), Supplement of the Catholic Courier, newspaper of the Rochester diocese, X (1939), 4, 6–8, 10–14, 19. Its author corrects certain errors which have slipped into the otherwise outstanding work of the Rev. Charles Hawley, Early chapters of Seneca history (Auburn, New York, 1884). Léon pouliot, “LE MOYNE, SIMON,” in Dictionary of Canadian Biography, vol. 1, University of Toronto/Université Laval, 2003–, accessed April 24, 2019, http://www.biographi.ca/en/bio/le_moyne_simon_1E.html.